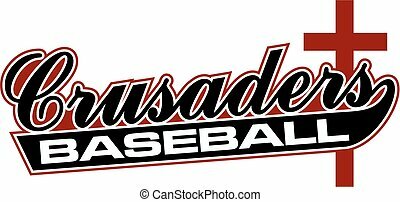 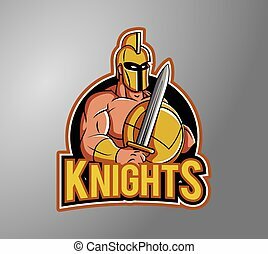 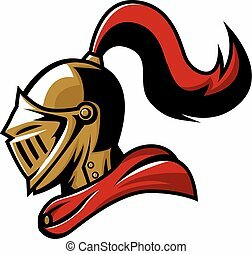 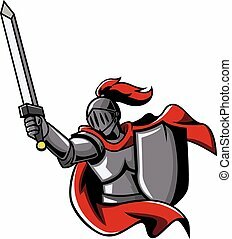 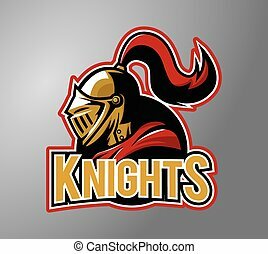 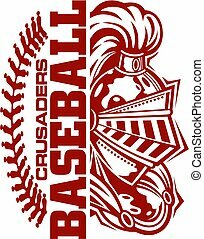 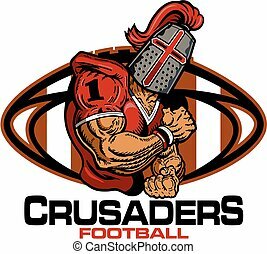 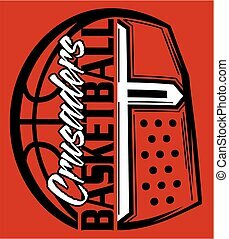 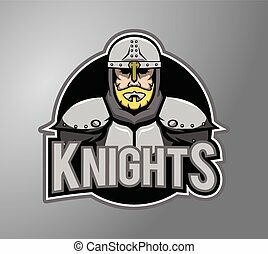 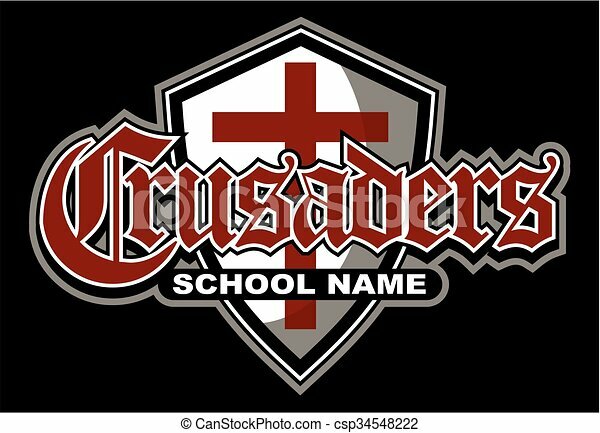 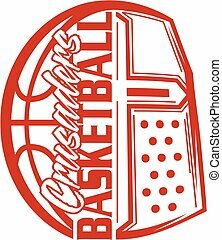 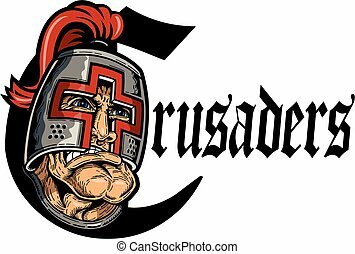 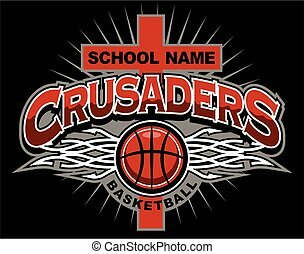 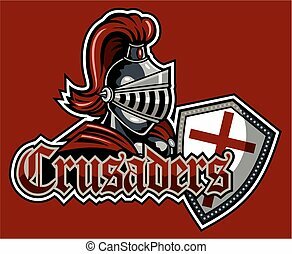 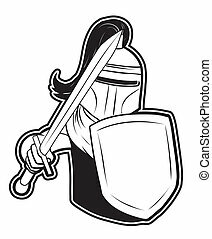 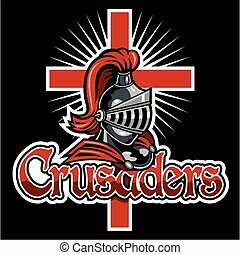 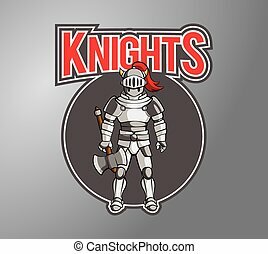 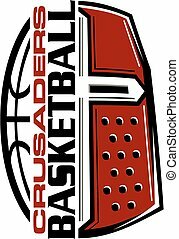 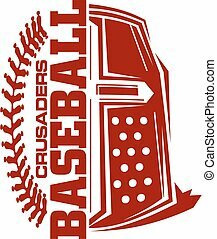 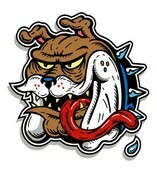 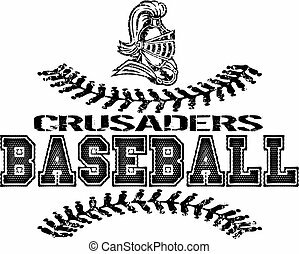 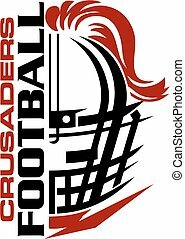 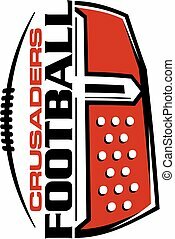 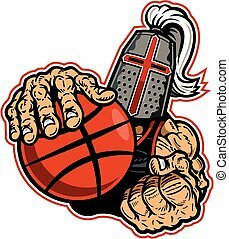 Crusaders team design with shield for school, college or league. 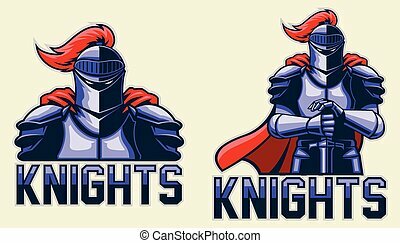 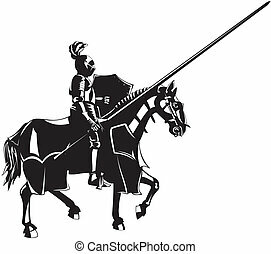 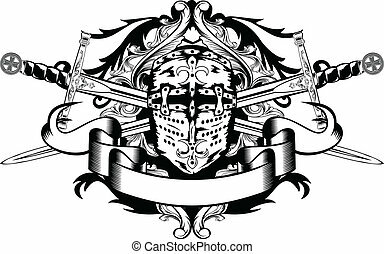 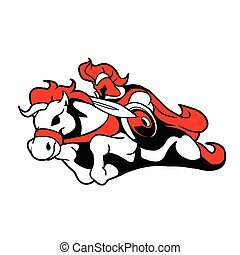 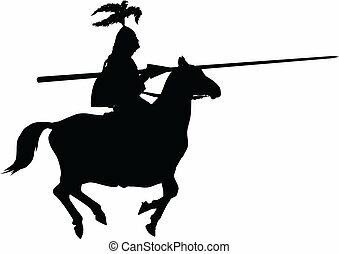 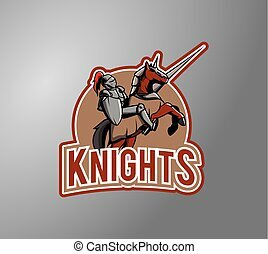 Knight with armor riding a horse.vector illustration. 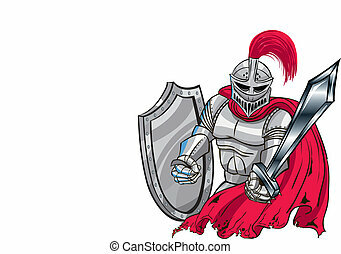 Red, silver Midievil Knight Shield and sword.